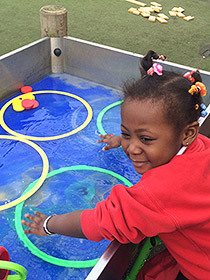 It is a momentous time in a child’s life when they start school for the first time, and our staff will do their best to make sure that your child settles in quickly and feels happy and secure in our Early Years Foundation stage. We have a morning and afternoon Nursery with three teachers responsible for your child’s progress and learning. In the Nursery, at the start of the session parents stay and settle their children in by playing a game or doing an activity with them. 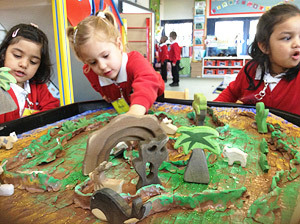 Children in the Nursery have an indoor learning space and exciting outdoor space with a ‘Nursery Woodland’ to promote curiosity and language. 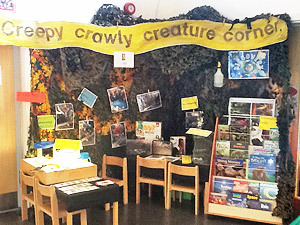 Our Reception has three classes connected to a fantastic role play space called the Story Room. 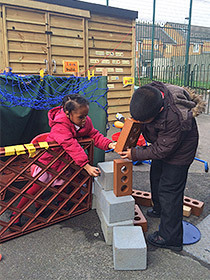 Children in Reception also have access to an creative Garden space that promotes physical learning and imagination. Parents are invited to stay every morning to read alongside their child as well as leave a comment in the ‘Special book’ documenting their learning achievements. In the EYFS we are proud of our children’s Reading ability. At Star, children are taught Phonics through the Read Write Inc. programme, as well as Reading and Writing every single day. To support reading in class children take a home a selection of high frequency words to practice with their family. To develop reading even further, pupils take home a Read Write Inc. book to support children in becoming fluent and confident readers. An additional Oxford Reading Tree book is also sent home to help challenge our pupils reading. Child led play in the Story Room provides further opportunities for children to select and read books, listen to stories read aloud and role-play as characters from their favourite books. 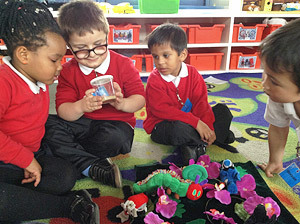 Stories, books and story language are central to our curriculum and all learning is linked to an engaging and exciting text. 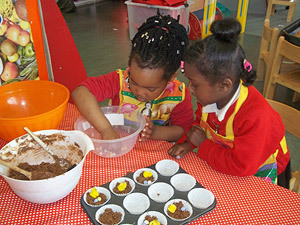 The following brochures explore more of the learning opportunities in the Early Years Foundation Stage at Star.